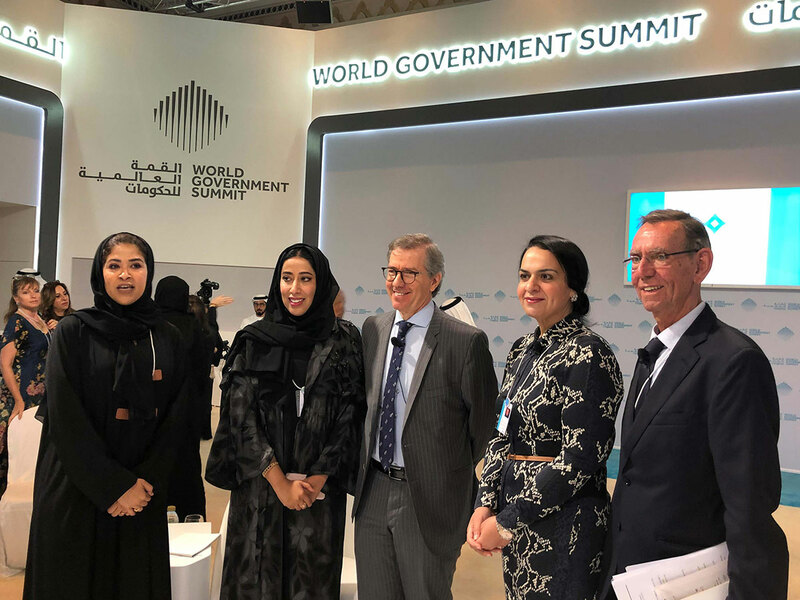 Dubai: The role of responsible communication in crisis management is critical, panellists at a World Government Summit discussion said on Tuesday. The session, attended by Bernardino Leon, director general of the Emirates Diplomatic Academy, Johan Verbeke, former ambassador of Belgium and director general of the think-thank Egmont Institute and Nancy Jamal, official coalition representative of the Global Coalition to Defeat Daesh, was moderated by Noora Al Abbar from the Government of Dubai Media Office. Referring to the Catalonia crisis, he said it showed how keeping a machinery oiled is important. He said the crisis had taught the world many lessons — from respecting victims’ privacy and keeping calm and reassuring the public to not succumbing under pressure and taking time to respond to a situation. “It is also important to stay humble and show gratitude at such times,” he added. Drawing lessons from the Libyan crisis, he said it is important to strike a balance between secrecy and transparency and avoid polarisation. He also emphasised on the importance of compromise in a negotiation. “It is not a sign of weakness but of wisdom. When you are in a negotiation, you never should push the opponent to the bottom of the discussion. Always, leave a room for respectability as you may have to deal with him later,” he said, adding it’s a question of how far you can go, without going too far. Jamal, on her part, outlined the communication strategies adopted by the Global Coalition to Defeat Daesh and the post-Daesh stabilisation campaigns. She said the task before them was to provide inner resilience to the communities and build international networks to combat the new forms of technology and communication that the Daesh employed to attract people. “ We had to counter their efforts with a positive narrative,” she noted. Post Daesh, she said it was important to let the people what was happening and spread a message of hope so they could return to the liberated ideas. “Our Life after Daesh campaigns were very successful,” she said pointing to how showcasing case studies from liberated areas went a long way in dispelling misinformation and reassuring people. CAPTION: From left, moderator Noora Al Abbar, Mona Al Marri, DG of Dubai Media Office, Bernardino Leon, director general of the Emirates Diplomatic Academy, Nancy Jamal, official coalition representative of the Global Coalition to Defeat Daesh and Johan Verbeke, former ambassador of Belgium and director general of the think-thank Egmont Institute.